Last week I tried this new trend in making hard boiled eggs in the oven. It's been going around the internet and I had some time to test it. So I thought I'd give it a try. I watched the video a few times to be sure I had done it correctly and then off I went. 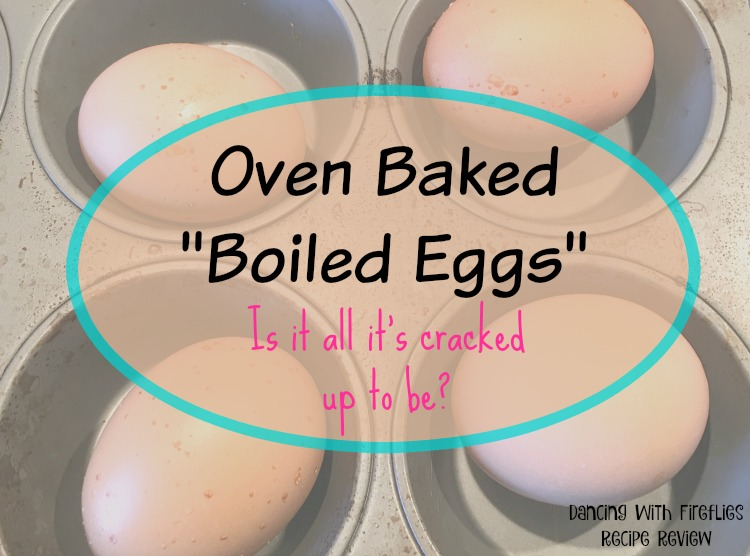 Yes, it is pretty easy to make hard boiled eggs in the oven. It is pretty much a no brainer. However, making regular boiled eggs is really pretty easy. However, as I learned using a muffin tin that has already been sprayed with baking oil will leave your eggs spotted. Inside and out! And I think that having to prepare the ice bucket bath was just one too many steps in preparing a normally fuss free dish. The shells peeled pretty well. But really, I'm not sure if it was worth the hype. Oh well! I gave it a try and I think I'll stick with a pot of water and an egg timer. Have you tried a hack that didn't measure up to the hype? Let us know in the comments! I saw this on foodnetwork too! I was so curious to try it. Thanks for posting this. I always wondered whether or not it would actually work or be worth the time and effort.